If you’ve ever traveled, especially overseas, you may have run into a variety of scams and cons. In our last post, we talked about different, mostly harmless, scams you may encounter on a trip. This time, thanks to a Lifehack.org infographic on common travel scams, we’re going to discuss some of the scams that involved pickpocketing. This is one of the most commonly known pickpocketing methods. Trains are often cramped and crowded. Locals will take advantage of tourists traveling with their duffels or backpacks, and rummage through them without your knowledge, or even the ability to get away from them. Rental cars are usually obviously rentals. Locals will search for them and inconspicuously puncture the tire. They will then come over offering to help. While you are busy with the flat, their accomplice will go through your trunk taking valuables. A policeman (supposedly) approaches you explaining an issue with fake money circulating around. He will demand to inspect your wallet. Once returned, you will notice it quite a bit lighter. You’ve been scammed. Cash machines and ATMs can be confusing in a different country. We suggest you just try to figure it out on your own. If a local comes over offering to help while it may seem nice, they are probably memorizing your pin number for when they swipe your wallet later. Better yet, just use a credit card whenever possible, and get the most favorable exchange rate in the first place. This scam involves a group of children who often have a disability such as being deaf. They will ask you to sign a petition to help them out. While shoving paper and clipboard in your face, they will touch and grab at you. If this happens to you, you’ve probably been pickpocketed. Your best line of defense is to keep your money in a special traveler’s belt wallet, something that loops on your belt, but hangs inside your pants. 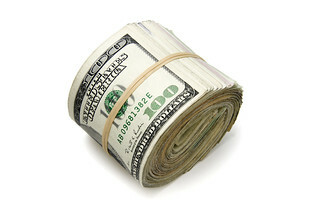 Keep a small amount of money in your front pocket, and then pull more money out of your pouch in the restroom. 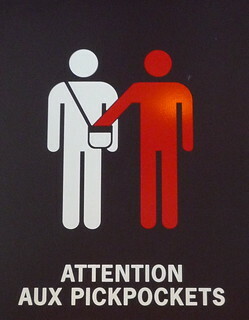 Have you ever been pickpocketed, or nearly so? What did you do? How did they do it? Leave a comment, or tell us on our Facebook page. London Stansted Airport is pioneering new technology to the airline industry by introducing smart access security gates in its terminals. At London’s third busiest airport just 30 miles northeast of the city center, the new smart access security gates will be able to scan boarding cards, passports and identification cards. The gates will serve as an extra level of security, by correctly identifying flight passengers and also assist the boarding process by removing the hassles commonly involved with current boarding systems. Less hassle means less time and greater efficiency for the passenger, the airline, security personnel and the airport. If the tests are successful, there is a good chance the new technology will be adopted by other airports around the globe. At the current rate of technological evolution, the creators believe it will be more affordable within the coming years. And with London Stansted creating the blueprint, other airports will be able to more easily adopt it just by following Stansted’s lead. The goal of introducing smart access security gates is to improve the passenger experience by automating as much of the boarding process as possible. Customer service agents will still be available to assist customers, but they won’t be tied down with the mundane chores that can be done more efficiently through technology. They will be available to solve real customer problems, instead of printing and collecting boarding passes and checking the customer’s ID multiple times. While some people may have security concerns about the automated system, we know from our work in the industry that airport officials wouldn’t just adopt new technology if they weren’t convinced of its effectiveness and safety. The fact that they’re considering it at all makes us believe they have a lot of the bugs worked out. If they weren’t convinced, they wouldn’t even try it out on a small scale because the risk is too high. As a result, we believe this is going to be part of the coming wave of gate and ticketing automation that will result in faster and more pleasant flying experiences for airline customers’ everywhere. Warmer weather and longer days can only mean one thing: summertime is finally here! While every family spends their summer days differently, one common thread is travel. Because the kids are out of school, the months of June and July are ripe for family vacations. In order to get the most out of your next summer vacation, you need to thoroughly prepare beforehand so you know how to react no matter what life throws your way. To help you plan, here’s a short list of things to consider to make your next vacation go smoothly. Scan and move any important travel documents to the cloud, including passports, travel insurance, medical records and anything else that can be needed in emergency situations. Storing these documents in a Google Drive, for example, will provide safekeeping and easy access. You can also use Dropbox or Evernote. You can also share these documents with family members and friends. Pack a first aid kit. You never know when an injury may occur, so keep pain relievers, bandages, sunscreen, and any medications (inhalers, etc) in a water-resistant, cool environment. If traveling by car, keep a kit in the vehicle. If you’re hiking or enjoying the beach, keep the kit in a backpack or in another convenient place. Plan for the worst-case scenario. Make sure everyone knows what to do in case someone in your family is separated from the group. For young children, it is generally advised that they stay in the same place and wait for a parent to come back and find them. For older children and teens, choose a location to meet in case of any separation or threat. If traveling by car, be prepared for any mechanical failures. Bring jumper cables, a spare tire, tire iron, flashlight and safety flares in case your vehicle breaks down. It’s also a good idea to keep a bottle of water and a blanket in your vehicle in case you are stuck for long periods of time without help. For small children, bring snacks, toys or books to keep them entertained on long drives or flights. We could go on and on and on with all the different tips and ideas for family summer travel, but experience is the best teacher. Enjoy your summer and travel safe! Is Common Sense In Travel Dead? When you’re traveling or on vacation, you want to feel relaxed and at home. When you feel relaxed and at home, you let your guard down, and things can get stolen. When things get stolen, your vacation becomes a nightmare, and you’ve lost hundreds if not thousands of dollars. Don’t let your guard down when you’re on vacation. Say you are going down the hallway to get ice in the hotel and just leave your door ajar because you’ll be right back or you leave your Kindle or iPad on your chair to go to the restroom. But when you get back, you discover your tablet is gone and your room has been burglarized. You’ve been the victim of a robbery, all because you assumed you and your belongings were safe, just like at home. This is why it’s important to travel smart and keep your guard up. You’re not at home, which means you have to be on your guard. A recent article in USA Today said that travelers and experts believe that common sense in traveling might be dead. We don’t necessarily think that common sense is out the door — unlike your iPad and wallet — but these stories of carelessness are becoming more prevalent as more and more people travel. We are traveling more than we ever did in the past and as you know, planes are packed with people. Technology is making it easier to travel. Your smartphones and tablets willl let you go anywhere and do everything for you so you don’t really have to think. And when you don’t know the smarts of traveling, you are more likely to be the victim of scams. Keep in mind that you are in a different place and need to keep smart and use common sense to avoid getting out of touch with reality. There are an increasing number of stories of horrible accidents that travelers get themselves into because they were not thinking. One of the culprits is an over-reliance on technology, and the other is letting your guard down. Remember that when you’re traveling, you’re not in the cyberworld, but in the real world. Keep your eyes open, listen carefully, and be aware of where you are. And don’t let your trip or vacation turn bad because of a simple mistake you made. Stay smart and bring your brain when traveling. How to Protect Your Data While Traveling? One of the best travel values currently available is our neighbor to the south, Mexico. With its popular destinations including Puerto Vallarta, Cabo San Lucas, Acapulco, Cancun and Cozumel, sun-loving tourists have no shortage of vacation options. Historic sites, beautiful beaches, opulent resorts and friendly people await the adventurous traveler. When you arrive at a major airport, find the taxi counter inside the airport and pre-pay your fare there. After paying, you will be directed to an authorized airport taxi area. Don’t get into a non-authorized cab (known as piratas). Order a taxi via phone from a sitio (radio taxicabs) instead of flagging one down on the street. When getting into a cab at a hotel, be sure that the driver displays his permit. Try to blend in and look less like a tourist. You might want to determine your route for the day in your hotel room, so you don’t have to pull out the map in the middle of the street, which definitely outs you as a non-local. When using an ATM, try to do so during the day, preferably at ATMs inside busy shopping centers. Make a copy of your passport and driver’s license and carry them with you for identification purposes. Leave your original documents in a safe place; preferably, in a safe inside your hotel room. Better yet, scan your documents and e-mail them to yourself at an address you can easily access from abroad. Use common sense and don’t carry too much cash or wear flashy jewelry. It’s best to leave your valuable jewelry — and jewelry that you are sentimentally attached to — at home. Before you leave, exchange sufficient dollars into pesos for the first days of your trip. This way, you will avoid having to carry around large amounts of cash. To avoid any chance of illness on your hard-earned vacation, we recommend you drink bottled water. In restaurants, opt for bottled water instead of ice water. When drinking soft drinks (refrescos), your best bet is to drink them directly out of the can or bottle, hence skipping the glass with ice. Most produce is washed in possibly unpurified water, so it’s best to eat vegetables that have been boiled and fruits that have been peeled. Brush your teeth with bottled or purified water. A Mexican vacation can be magical, but make sure to take the necessary precautions. Travel can be as dangerous as it is exhilarating. Thieves consider tourists very tempting targets since preoccupied visitors aren’t always focused on the cash and valuables they’re carrying. Therefore, you need to take steps to protect yourself when traveling, especially overseas. Paranoia isn’t necessary, but vigilance is. One of the best ways to reduce your vulnerability is to minimize the amount of luggage you carry. That means checking one large Travelpro Rollaboard and carrying on a smaller bag that can be strapped to the rollaboard. Be sure to store an extra copy of your passport in your Travelpro Rollaboard (the secret pocket in the Crew 8 is the perfect place), separate from the original. You should also register your credit cards or have a trusted friend or family member maintain a list of both your cards and company contact information. This will allow you to react quickly should your purse or wallet be stolen. Waist Safe: A washable, lightweight, adjustable belt that holds cash, passports, credit cards, traveler’s checks and other valuables. Leg Safe: A washable, lightweight, adjustable leg sleeve. Compact Door Alarm: A protection device for the door (or window) of your hotel room which emits a high pitched sound when the clips placed between the door and door frame are separated. Personal Safety Alarm: A small alarm you wear around your neck that emits a high pitch sound when string is pulled. Don’t dress in a way that would mark you as an affluent tourist. Don’t use short cuts, narrow alleys or poorly lit streets, and avoid traveling at night. Appear purposeful when you move about, and only ask for directions from someone in authority. Keep a low profile, and avoid loud conversations or arguments. Don’t discuss travel plans or other personal matters with strangers. Be wary of scam artists, pick pockets and groups of vagrant children. If confronted, don’t fight back. Give up your valuables.